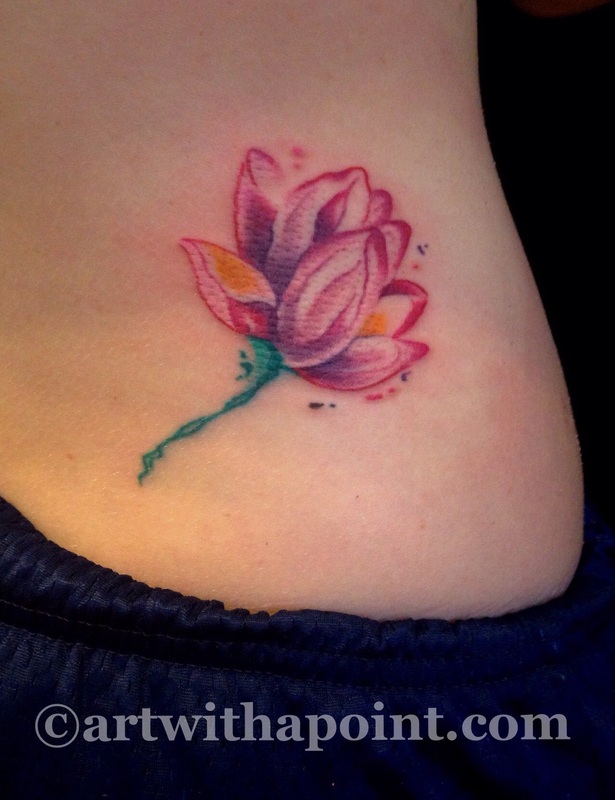 A watercolor lotus tattoo! Love the deep palette of colors here and the way the palette works with negative space to create depth within the bloom. The nice size provides room for detail within each petal in this custom watercolor tattoo.